A Room With A View will host this exhibition curated by Anchor Graphics at the Drake Brothers Restaurant in the Drake Hotel, 140 E. Walton. 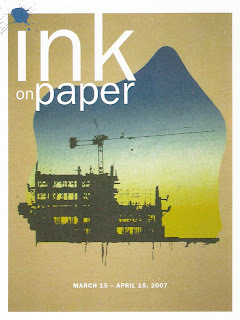 The Exhibit will feature the work of 7 contemporary printmakers including Andrew Blackley, Micah Bornstein, Sean Keenan, Francisco Ramirez, Andrea Schumacher, and Ricardo Serment. 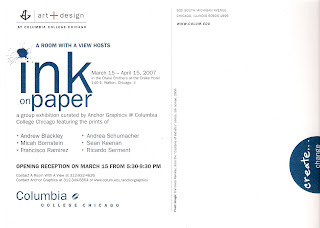 An opening reception will be held on March 15 from 5:30-9:30pm. The artists will be present and refreshments will be served.